What an utter and complete joy to witness the 2018 World Cup. For the first time in my life I knew friends living in the various participating countries (Denmark! Belgium! Australia!) and saw firsthand just how into it everyone outside of America is. The rarity of the event combined with a solid tournament set-up really builds the hype. The group stages were stunning, with the defending champion Germans unable to make the Sweet 16. Mexico-Brazil could have been a semi-final match, but Brazil beat them in the first round of 16. Belgium trailed 2-0 before scoring three goals to stun Japan. They managed to keep Brazil at bay, but unfortunately looked somewhat fatigued vs. the eventual champion French. Similar to the Olympics, the World Cup honors third place, as they should. Belgium took down England and received a worthy medal. Croatia lost to France in the final, but their captain was the MVP of the whole tournament, and they also were honored for finishing 2nd. America is blindly consumed by winning at all costs (*see Putin-Trump*) without necessarily respecting the process. 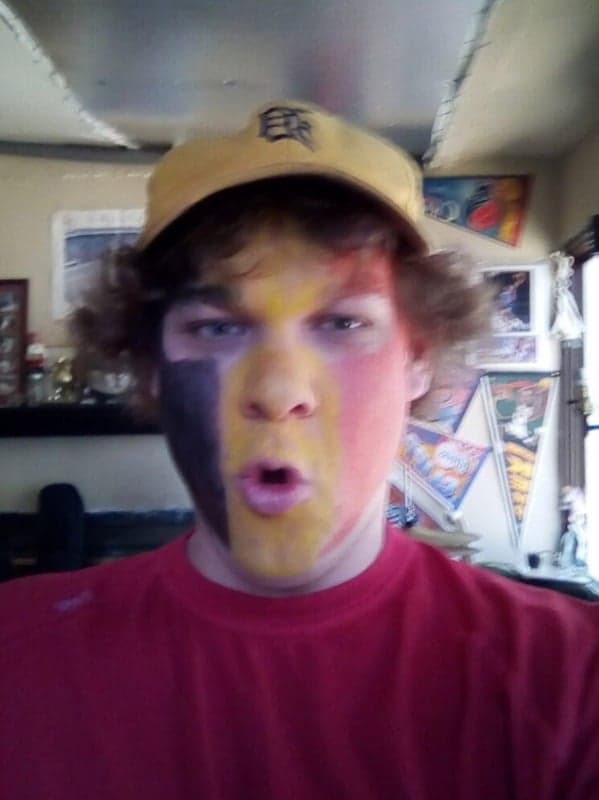 When Belgium lost I found my paint running with tears. I’m honored to have shared this experience with gs all over the world right from my spot on the river. So, we’ll see you in four years. Maybe by then, USA, you’ll have grown a pair of balls, won’t have to make everything about yourself, and can join the rest of us in celebrating, as the announcer closed by saying, in “the greatest collective experience we have as human beings…” There’s truly nothing like it.